Just as there was during his life, there are sure to be plenty of debates about the merits of Fidel Castro's legacy after his death. Some view him as nothing more than a tyrannical dictator. Others contend that he was a rebel who wanted to bring equality to Cuba and free it from foreign rule. There is probably no leader in recent history that has caused a bigger divide in opinions. But some of the most interesting conversations sparked in the aftermath of his death, come from the reactions of people whose lives were directly affected by Castro. Certainly historians and economists can analyze on the shadow of Castro's rule in Cuba, and there will be a lot of useful information that comes from those deep dives. But it's also worth paying attention to the people who lived through it. In Miami's Little Havana, Cuban Americans took to the streets in celebration of Castro's death. Meanwhile, some world leaders mourned and praised his legacy as a radical leftists. It is instructive, then, to look to those who have been directly impacted by Castro's actions in Cuba to try to understand the real effects that he brought about. Here are some of their reactions. Many of the people sharing stories on Twitter have the direct insight of their parents who fled the country when Castro took control. Just as the protestors in Little Havana were jubilant, the children of Cuban immigrants have expressed joy. Many of the people who lived under Castro's regime would pass long before he did, and many of the Twitter reactions focused on honoring them. Jorge Rodriguez, a Ph. D candidate at Union Seminary, shared a recent interaction he heard between a Puerto Rican woman and a Cuban woman who were debating Castro's legacy. Ultimately, for many people, Castro was a symbol that capitalist societies can be dismantled. This Twitter user rejoices at Fidel's death even though she no longer lives in Cuba. Andrey Kiyashko doesn't live in Cuba, but he was wrapping up a vacation there when the news struck. The RT producer has been tweeting small dispatches about the scene on the ground. 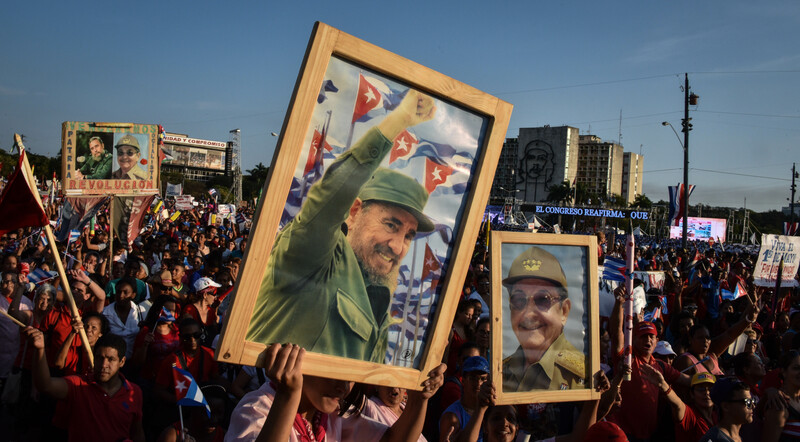 Yoani Sánchez, a journalist based in Cuba, posted a photo just after the news broke noting that these were the first hours of her life that she had seen Cuba without Castro. There are tons of videos of the jubilation from Little Havana, an area of Miami concentrated with Cuban Americans. No matter what you think about Castro, it's always helpful to try to listen and understand other people's views, particularly the people who have direct experience. That'll be helpful in sorting the discussions that will follow.